I have always compared the making of our “Bengaluru International Airport” to the epic Ramayana – of how thousands of hands contributed towards the construction of each and every square inch of this place. 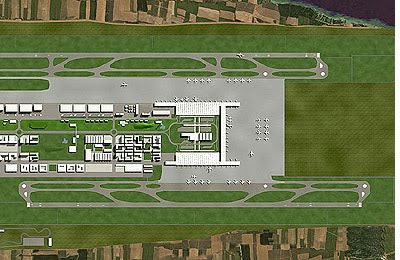 I was particularly among the few lucky ones in the country, to play a pivotal role in this mammoth infrastructure project; one that has faced innumerous criticism and obstacles over the years, but today, the Runway, the Terminal and the other buildings stand edifice to show what has gone into its making – satisfying passenger needs to its best and growing higher – in ranking among its peers as well as its revenues, a sign that clearly proves how much our passengers like our Airport. I still remember the sunny morning in March 2006 when I came to the erstwhile corporate office of BIAL at Hebbal to meet the then Chief Commercial Officer, Mr. Stephan Widrig. A visionary and a great leader, he was also among the few “perfect” gentlemen and kind-hearted human beings I have ever known. As always he had been, he let me speak for over 20 minutes – about myself, my past, my present and what I wanted to accomplish in future. He was a keen listener, not just the words the other person utters but those that one doesn’t too. After a 30 minute discussion, he seemed to have been convinced that I was the right one for the job. I had to wait for over an hour – reading the few aviation magazines on the reception area, while also thinking about the excitement that I would be having, should I actually get recruited. I always had a flair for aviation from my childhood – first it was about becoming a crew member, then a pilot and later on, as a passenger. But to become a catalyst or airport manager was something that I hadn’t thought in my wildest dreams! In the next three hours, everything was over – an offer letter was handed, medical check-up completed at a nearby hospital and I was ready to be welcomed into the Company! I joined on 3rd May 2006. And the rest, as they say is History. I am glad I took this decision to join BIAL – something that many around me were sceptical about. Some even said that this would be the biggest disaster of my life. Today, they and the whole world know what it has been. Indeed, this has been a highlight in my career and one of the best times that I have had (and I hope there is much more to come in the years ahead). The portfolio that I have managed is among the most coveted in the world – no exaggeration. To be a part of creating and managing the first of its kind Travel Retail footprint across any Indian airport, that too a Greenfield, can only be a wish – one that I have accomplished and walking out today with pride. And it was important to make the offering as competitive and compulsive as possible. It was around the same time that International Travel Retail Operators were looking at India on a more serious note – a market that was dominated by ITDC, the Govt. 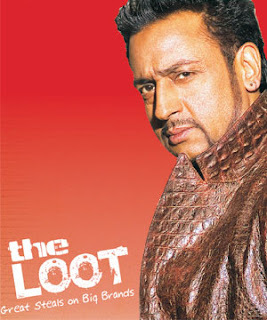 of India undertaking, for the past three decades and smaller private players since the late 90’s. 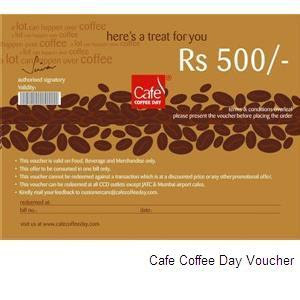 Through a competitive bidding process, the Joint-venture of The Nuance Group – Shoppers Stop was selected as the main Retail Partner and HMSHost and Cafe Coffee Day as the main F&B Partners. Note the word Partner – it was not just on paper but in spirit. Since the business potential was both large and risky, we had decided to follow the Revenue share model – one that is used at the best airports across the world. 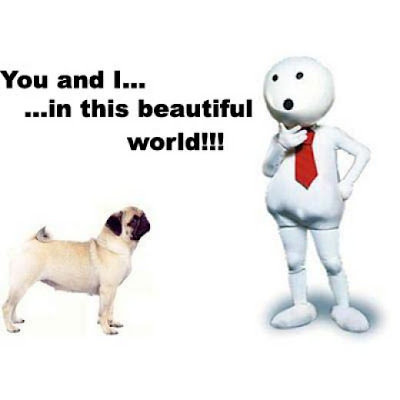 And no one complains – if there is an upside in the business, then both the entities share the profits and vice-versa. And then, the other partners were chosen. Each choice has a great history behind it. And there are too many that this column cannot take. 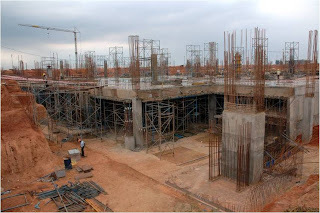 By the end of the year 2007, all partners were in full swing with a Jan. 2008 timeline to finish the concrete/external construction and to begin store fit-outs. Every day was so different – new challenges, huddle meetings and new solutions. In the same month, a new logo was unveiled, one that displays the spirit of the city. Each team had grown in size and every member was getting prepared for the D-Day ahead – the Public Trials on 11th March 2008. 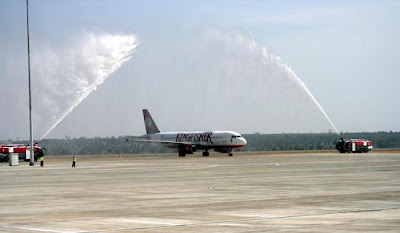 The Airport had to prove that it was ready for operations and at 11.05 hrs, the first boarding call was announced by the former CEO, Mr. Albert Brunner. The Swiss Boss who spent over seven years in Bangalore by then knew the country and the countrymen better than most Indians. 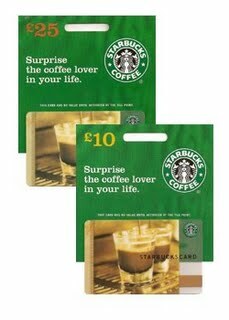 A workaholic by nature, his day would start at 08.00 hrs with his favourite coffee from Barista and would end by 20.00 hrs. And amidst his professional, bureaucratic and political meetings, he had the time and energy to socialise. He knew many things about the city that many of us didn’t know – from culture to cars, from fashion to food and wine. 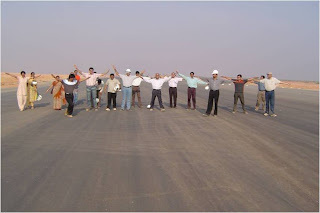 On 30th March 2008, the Airport Team had a massive gathering along with its partners – to celebrate the completion of the project – one of its kinds in India where such a project was actually completed on time! A day I was waiting for close to two years to fulfil a promise that I had made to my former boss – that I would stand next to him and take a photo on Airport Opening Date. 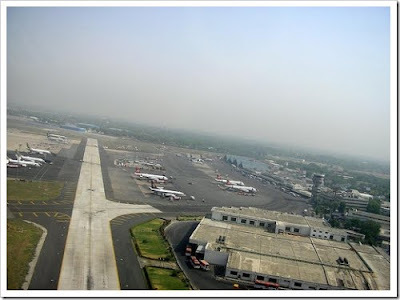 However, the Airport commenced commercial operations on the midnight of 24th May 2008 - behind schedule by six weeks due to various reasons that were beyond our control. However, I was among the equals – over 500 of us – some who cheered the first flight that landed and later took off on the tarmac and many others, welcoming and guiding passengers within the Terminal. I would still never forget that night, the first night – situations and emotions, good bad and ugly that flew through the air. The next morning was somewhat different – the Sun rose earlier than usual and so did passengers who took their morning flights out of Bangalore. Many had arrived over two hours in advance even for Domestic flights due to panic – that was hyped in the media about the distance of the Airport – a mere 35km from city centre. Volvo Buses that are operated till date by BMTC are among the most used, efficient, proactive, disciplined and courteous public transport systems in the country. Today, we find it challenging to have domestic passengers atleast 30 minutes before their departure – after all, their “Dwell time” at the airport is crucial to increase revenues. Life has been very different before and after the Airport commenced operations. The short days that were long because there wasn’t much to do became longer days with little time to attend to many things – including lunch and dinner sometimes. About our Retail business, I have always boasted that Bangalore has been blessed with the best consumers and this has showed very well in our Operations. Every retail concept out-performed its expectations and even today, we see so many surprises - one that sets us thinking and keeps us on our feet. After much deliberation and preparation, the Airport celebrated the first ever Shopping Festival along with its First anniversary. It was a big surprise to us, on 24th May 2009 that one full long year that was dotted with tragic terrorist incidents, global recession, India’s largest corporate fraud et al. And to rub salt on the wound, passenger traffic was dripping and so was consumer sentiment. Many who were braving the risk chose to sit on the fence and those who were already there were down-trading – both that wasn’t good for the Retail Industry in general and to the Travel Retail Industry in specific. But as always, the good and the bad stay for not too long and the past two quarters, especially the last one has been satisfying. Dassera and Diwali posted some encouraging figures and Christmas season already looks cheerful. Let’s hope. Along these years, I have had the opportunity to meet so many great personalities in our Industry and I have also travelled quite extensively – ten countries to be precise. My first one was an official training trip to Zurich Airport which is also among the shareholders of BIAL. My week-long trip was mixed with enthusiasm, excitement and eagerness. I would sleep for not more than 6 hours a day and the rest of the time was spent learning and exploring. ZRH Airport is among the best in the world as rated by Airports Council International, an independent nodal agency that monitors passenger satisfaction across Airports worldwide. This tour was followed by a brief one at Frankfurt, the second busiest airport in Europe after London Heathrow. And my tour ended with Dubai – the world’s best airport as far as Commercial offering is concerned - they clock a turnover of over USD One Billion pa. 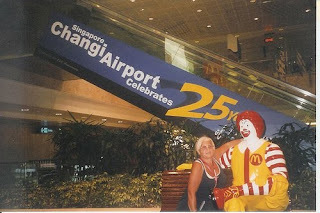 In 2007, I visited Singapore and Kuala Lumpur. I consider Singapore Changi as my University – have made several trips now and every time I go, I stand and observe every square meter of the Commercial Areas – not just for ideas but for inspiration and clarity. Among my very few lifetime wishes is to work for this Airport, so I can learn firsthand. And in 2008, I visited Shanghai, Hong Kong, Bangkok in March, Singapore in Sep. and Hong Kong and Singapore once again in Dec. Hong Kong Airport is like a library – one can draw reference for any Travel Retail issue and they would have an answer to it. In June 2008, I visited Germany for a month as a Rotary Ambassador representing India to spread peace and friendship between the two countries. And during this trip, managed to visit London Heathrow (LHR) and Stuttgart Airport. LHR is among the most complex airport operation in the world, with a flight landing or taking off every 5 seconds between its two runways. 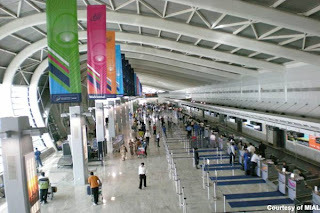 With over 50% of its passengers transiting between the East and the West, the complexities involved in managing the commercial offering to cater to people from various nationalities, preferences, cultures and backgrounds is tremendous and World Duty Free that runs the Retail Business does a commendable job at it. I also had the privilege of talking about Indian Travel Retail at several Travel Retail Conclaves – at TFWA Singapore in May 2007, India Retail Forum in Sep. 2007 and IQPC at Singapore in 2008 and IQPC at Kuala Lumpur in 2009. With such rich knowledge and understanding of the business, I stand proud with my head held high, of what I have been blessed and accomplished over the past years. But remembering my favourite Ramayana once again, my contribution to this Airport is as big, or rather as small as what a little squirrel did – to build the mythological bridge between India and Lanka. Like the squirrel, I would also be forgotten one day; although for me what I have done and achieved looks so big, it is indeed such a small contribution to this Airport. This is not something that I write for the sake of this column but something that I always believed in and have felt that way which many around me would know. This Airport and this company have given me so much, but I have returned very little. However, as I leave office for good today, I am sure, it’s only me which leaves but my soul remains here, always. Thank you, BIAL and its employees and associates – but for your support and encouragement, my new journey wouldn’t have been possible. I don’t consider this the end, but a beginning. After all, the woods are lovely, dark and deep, I have wishes to accomplish, promises to keep, but I have miles to go before I sleep. And I have Miles to Go, before I sleep. I couldn’t resist visiting the newest Mall in Chennai – Ampa Skywalk last week. 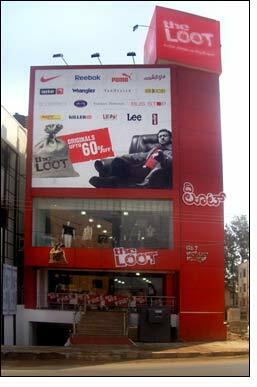 The first of its kind in North Chennai, this Mall has been in the making for over five years now. 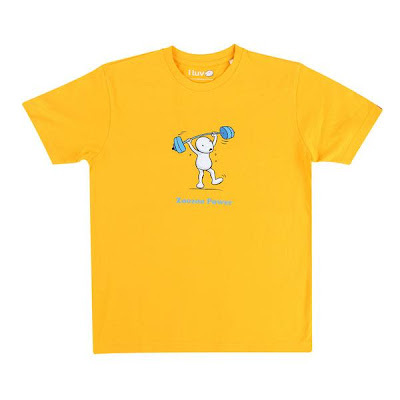 In my previous stint at Benetton, we managed to get two outlets for the Brand – one in the Ground floor and the other in the Second (exclusively for kids). While it took more than three years to finish the construction, it took as much time probably to get all the necessary approvals. And the final product is worth the wait as many would believe. Located along the ubiquitous Cooum River, this five storey structure has a colour combination on the exterior that’s almost impossible to miss. Lots of colourful alucobond and glass with very little concrete gives it a different look than its few counterparts in the city. Located on a corner plot, the Mall is expected to cater largely to the surrounding residential areas –parts of Anna Nagar, Nungambakkam, Aynavaram and Kilpauk. Maybe for the first few months, this would be a Destination because of its novelty, but once the upcoming “Express Avenue” is ready, all the focus in town is about to turn towards it. (Will write more about EA later). First impression as one gets into the Mall – impressive, by Chennai standards. I quite liked the spacious Atrium from where one could see the famous “Skywalk” – a bridge that connects two sides of the top floor which would house PVR Cinemas as an anchor. This would be the first location for PVR Cinemas (preceded by INOX in 2006 at Chennai Citi Centre). There are over 100 Cinema screens in Chennai city limits and the ticket prices are almost 50% of those that are charged at these multiplexes. So, I would be curious to see their pricing and marketing strategy as time goes. The Mall has more than one anchor – PVR for Entertainment, Westside for apparel, Landmark for Leisure, Star Bazaar as a Hyper for home-needs, Mc Donalds, KFC, Pizza Hut, TGI Friday, a 200 seater food court, a couple of speciality restaurants and a very large entertainment centre for children and the young at heart. 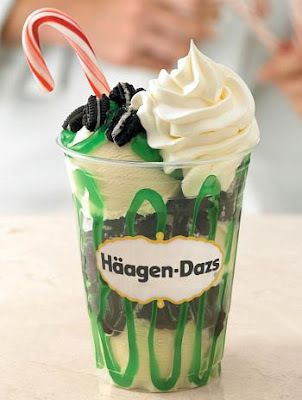 Although the F&B Outlets may not be technically classified as “anchors”, they do more or less the same job as the anchors – to act as a destination and to pull consumers into the Mall. 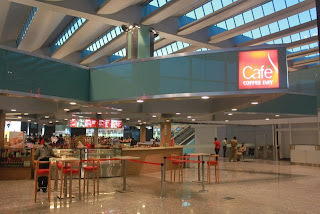 Cafe Coffee Day, La Boulangerie (a chennai based gourmet and speciality bakery chain), Booster Juice, Cookieman and Kalmane coffee bring in a fresh lease of life in every floor as they are massively spread across. I spoke to my friend from JLL who was part of the floor-design and he gave a strange logic used by the developers – that every floor, along the car parking exit would have an F&B joint – a cafe, bakery etc. I hope this works. On product retail, the line-up is impressive: Benetton, Levi’s, Will Lifestyle, Lee, Zodiac, Metro & Mochi, Peter England, Allen Solly etc. The surprise ones are Bossini and Health and glow – it’s quite some time that we remembered these brands, but nice to see them here though. Zimsons, a leading player in premium and luxury watches has several stores for different categories on the Ground Floor. Given that there are very few premium watch stores in the city, this is sure to draw in the right crowds. The positioning of the escalators that go up and come down looks nice – but they do not seem to circulate footfalls. This is a very important aspect in Malls – afterall, driving footfalls to the Mall is quite easier than driving them along the corridors, in front of the stores. Light colored marble flooring make the floor look cleaner and larger. The most interesting part is that the Food court called F3 that stands for “Food, fun and frolic” offers a pre-paid card. On payment of INR 10, a smart-card is given that can be loaded with currency in denominations of INR 10 and this single card could be used across all the outlets. Sounds interesting, as it makes life easier for diners – they don’t have to wait in long queues at cash tills while the cashier is struggling for returning change. It is also a great way to increase consumption – shoppers would load for a minimum and may not consume for all the amounts, so they would come back regularly to this place. The only glitch seems to be the cash-flow for the operators – I doubt if the settlements would be done even once in a week. That means, they have to wait for the bi-monthly/monthly cycle to get their turnover that is collected by the Mall Developer. But this is a good way to keep a tab on the Sales – since most of the Malls are now following the Revenue share model and thereby, this becomes easier to track every transaction that occurs at the various outlets. Overall, this is a welcome inclusion in the city and am sure this would continue to serve very well as a friendly neighbourhood mall for a long time to come, I guess. This column comes straight from the heart of Madras – T. Nagar, to be precise, where I have been camping over the past week ever since our daughter was born last Thursday. The past weekend was not just hectic but also exciting and fulfilling for our business. Retailers of all sizes, shapes and geographic spread have reported an upswing in Sales during the just concluded Diwali festival. Mambalam aka T. Nagar in Madras houses the highest penetration of Retail outlets per sq. Km in South India. The estimated size of the Organized Retail business – Apparel, Jewellery and Household items, is expected to be over INR 10 Crores every day! 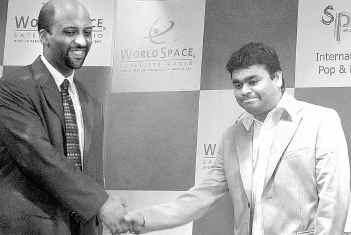 This, from the top 20 large format Retailers such as GRT Jewellery, Prince Jewellery, Joy Alukkas, Singapore Mustafa, Pothys, Kumaran Silks and most importantly Saravana Stores –famously known as India’s very own Wal-Mart. This Retailer who has more than two locations spread over 300,000 sqft., spends a couple of Crores every year on Advertising – on TVCs, Radio, Hoardings at prominent locations near Railway Stations, Airport, etc. – with leading South Indian film stars as Brand Endorsers (and not just ambassadors). It may be recalled that Mr. Kishore Biyani (Founder and CEO of The Future Group) found inspiration for his most successful Hyper-business after spending a couple of hours himself looking at this store. For the just-born, I was searching a nice cradle over the past days; I visited four to five outlets that carry children’s stuff but wasn’t satisfied with their collection. Home Centre, part of the Landmark Group doesn’t even keep cradles or kids furniture - that was disbelief. After a number of phone calls to friends and cousins, I landed up at “Saravana Stores” on North Usman Road (the newest location for the Retailer). Fully air-conditioned with two large elevators that could carry atleast 12 people at a time, it was amazing to see the way this Retailer conducts business. Parking was easy, as my visit was at 09.30 hrs, and a day after the Diwali festival. As we entered the store, there were half a dozen people near the automatic glass entrance to greet and guide us – something that’s rare to see at many large organized retail outlets. We enquired about our requirements and were directed to the third floor. Interestingly, the elevator stops every second floor – wow, what a strategy I thought. Great way to bring footfalls into the next floor as well as some savings of electricity! But most importantly, it proves efficiency – sometimes people use the elevator to go one level up or down and end up holding the equipment for long durations. As we entered the shop floor – clear and white marble that show vividly even the smallest dust (or the one that shouldn’t be) - a sprawling 10,000 sft I guessed, I was simply awed by their collection. Over 20,000 or more products on a single floor! Every section neatly ear-marked with clear signage in black font/white background and atleast 60 staff members in just one floor – that’s a whopping “1 staff for every 150 sft” (usually it is 1 every 300 sft in India) – rather one for every customer who visits the section. The philosophy is simple – no provocative selling, but 100% service support. Ask for any assistance and bingo – its right there. And the cradles, as expected were at the end of the floor. After browsing through a dozen of them, we decided on one – a simple yet elegant design. In what I had researched over the past days, cradles could cost between INR 1,500 – INR 9,500. It could also get more expensive as the materials involved change/improve. Our case was simple. Buy something that looks classy, durable and most importantly worth its price since the usage is only for 12-18 months. Not to my surprise, the one that we chose was 30% cheaper than similar ones that I saw at many leading stores. I couldn’t take my eyes off the “Kids clothing” collection - hundreds of pieces stuffed alongside each other, yet the variety, and the design at such low prices was unbelievable. So, how does this Retailer manage to procure the products at such cheap prices? The age-old philosophy of “volumes”. And the staff comes at a measly cost – they are mostly picked up from villages or smaller towns, brought to the city, put up in shared accommodations such as dormitories or hostels and also given food. Plus a monthly salary which is sometimes given on hand or credited into the accounts of their parents/dependents in their home town! Gradually, the staff picks the nuances of the trade and move on to other Retailers – for a better pay and future. Although attrition is not very high, the quality of the staff is not comparable to modern Retailers –but they serve perfectly to their key clientele (among which you and I are usually not). During my stay in Madras, I also visited some of the famous F&B Outlets – Ratna Cafe & Saravana Bhavan most importantly among them. While the history of Ratna Cafe dates back almost three decades, Saravana Bhavan is over 10 years old with a good penetration in the city as well as abroad – Dubai, Singapore and the US. Ratna Cafe’s food is world famous – its recipe is every homemaker’s envy, customer’s delight and competition’s grudge. With such a lineage, they have a handful of outlets all across. I wonder, whether it is the financial backing (or the lack of it) or the family’s unwillingness to expand. 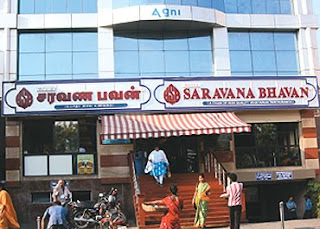 Saravana Bhavan, which started as a small neighbourhood F&B outlet expanded massively – the basis of expansion was not merely availability of funds or willingness of the family that runs it; rather the acceptance of the concept by its patrons and customers. They changed the way people were dining in the late 90’s – self service fast food coupled with comfortable table-service dining – something that Madrasis were not used to in the pre-Pizza Hut/McDonald’s era and hence lapped up quite happily. And they enjoy some of the best locations in town – from neighbourhood residential areas to arterial roads, near Cinemas and popular shopping destinations. Ample parking for both two- and four-wheelers is an important plus point. With so much Retail action and a couple of upcoming Malls, it’s tough not to miss this place. Look forward to coming back in my new avtar in 10 days from now! When skill set takes over everything else! If there is one activity that many urban men dread every month among others, it’s the thought of visiting his “personal groomer”. From a nonchalant corner shop that could seat not more than three people at a time to the more recent air-conditioned (sometimes unisex) salons, this business has come a long way. The Barbers are today better known as “Hair-stylists” and the profession is gaining acceptance as a popular vocation too and many youngsters are getting their hands “on” in this business. The recycled newspapers have been replaced with Filmfare, Femina, Vogue and even India Today! From waiting outside the shops to fixing prior appointments, from standing under scorching sun to comfy sofas, a lot has changed over the years, right in front of us! While the beauty-care market in India is worth over Rs 5,000 Crores, growing at 25% pa, according to an L’Oreal study conducted in 2008, the services business accounts for 87% of this market. The estimated size of the men’s grooming market annually is over 1,500 Crores and has been growing at a CAGR of 12% over the past few years. But organised players command less than 5% of the pie. Every city or region in the country has a bunch of players, although many of them have aggressive plans to grow nationally in the years to come. YLG or You Look Good is the most recent entrant in this market, while Limelite promoted by Cavinkare is among the oldest. Other players like Bodycraft and Bounce operate with a limited reach within a particular geographical area. The three most important things that men look for when they visit a Salon are Convenience to visit the Outlet including parking, Skillsets of the Staff and the Ambience of the place. While the order of priority may change from each person, the most important aspect to note here is the Skillset of the Staff. All things being great but a poor job done wouldn’t bring back the customer again. To ensure that the service delivery is consistent, many chains also have an in-house training academy. Before the staff starts attending customers (Go Live! ), they are given an induction for 10-12 weeks. This largely includes training on using the right equipments, the SOPs to be followed (yes, afterall it is a complex activity), and observing some of the senior crew members performing the job. It has been studied that over 70% of the customers prefer to be handled by the same stylist in their subsequent visits. This is because they believe that the staff already knows their preferences and thereby, the job could only get better over a period of time. According to a dip-stick survey conducted in a leading chain last year, atleast 9% of visitors walked away if their favourite staff was unavailable or busy (and were willing to wait for the same person if they had time). The biggest drawback today is that there is not a single large chain in India that could boast of offering consistent service across a single city. And the reason is quite understandable – staff attrition. The stylists at the entry level are paid between Rs. 4,000 – Rs. 7,000 per month and earn and share tips worth Rs. 2,000 per person per month. Sooner than later, they tend to lose interest and start looking outside the window – either to hop on to another salon/chain or simply to pursue some other vocation. Unlike in the West, this is not a profession that many feel proud to be in. 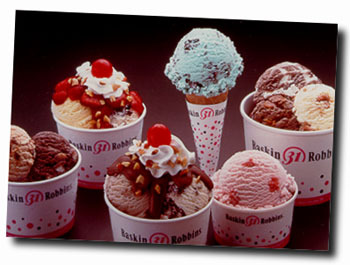 Customers are charged between Rs. 50 and Rs. 500 per session that usually includes “Hair-cutting/trimming” followed by a wash. Certain Salons also offer package deals that include facials, massages, etc., and the staff are expected to “convince” their customers to take up one of them. Interestingly, if a staff speaks about a certain service to the customer for more than 4 minutes, the chances of him agreeing to experiment (if he is a first-timer) is over 90% according to survey in a popular salon. And once the customer is happy about this particular service, he would obviously frequent the place. Most chains however, do not sell branded personal grooming merchandise in a big way. Even if they do, the focus is minimal and its’ sales doesn’t contribute more than 10% to the total. Two years ago, while we were still selecting operators for our Bengaluru International Airport, I had discussions with leading salon operators in Bangalore and in India. But no one was convinced that passengers would ask for such a service. Unsurprisingly, today the same people are willing to undertake this activity! While I feel happy that leading operators are looking up at the Travel Retail potential, it is sad that we don’t have a suitable space today at our Airport nor do I see such parlours coming up at other Airports in India in the short term. In this case, it is clearly convenience that a passenger looks for – trimming beard or a quick head massage or simply, a haircut and a wash and may even be willing to pay a handsome amount for the service! But necessarily, skillset would precede every other aspect – especially at the neighbourhood Outlets. This is one reason why many people keep shifting their salons regularly. After all, it’s an activity done once a month, but one has to sport the same look for the next four weeks!